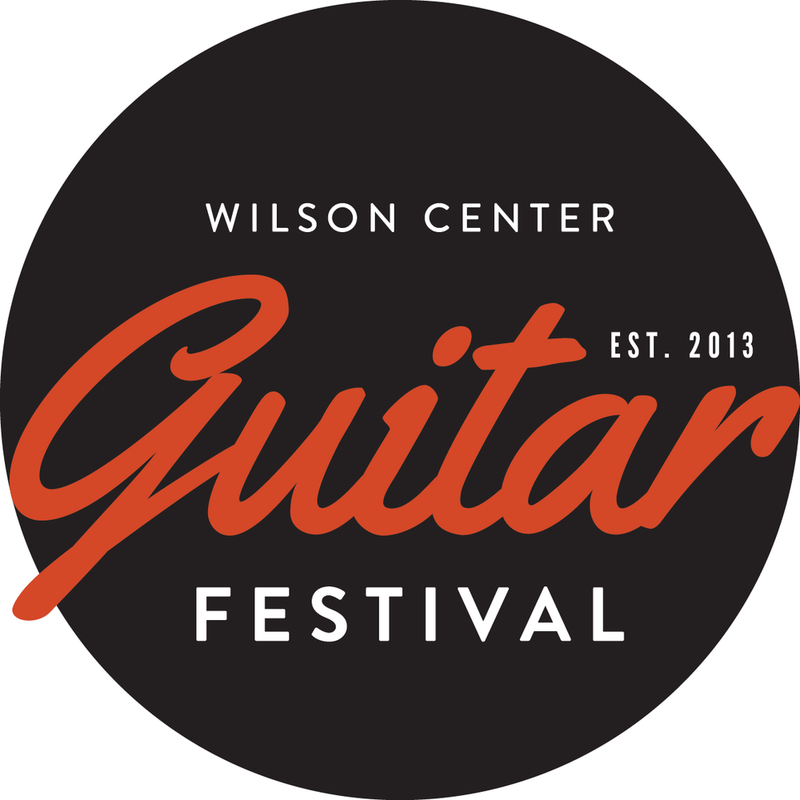 Meet the judges from the 2018 Wilson Center Guitar Festival and learn more about their unique and diverse experiences within the field. Brian Torosian is an active soloist and chamber musician on guitar, lute, and mandolin, best known for his work with 19th century guitarist and composer J. K. Mertz. In addition to the standard six-string guitar, he plays baroque guitar, Terz guitar, and 10-string guitar replicas, the latter two made for him by R. E. Bruné after 19th century Viennese instruments. Concert performances include appearances with Chicago Symphony Orchestra, Grant Park Symphony, Chicago Opera Theater, His Majesties Clerkes, and Classical Symphony Orchestra. Torosian directs the guitar program of Northeastern Illinois University and is on the faculty of Wheaton College Conservatory. He received bachelor, master’s, and doctoral degrees from Northwestern University as a student of Anne Waller, and studied with Oscar Ghiglia in Italy at the Accademia Musicale Chigiana, where he received the Diploma of Merit. Brian's published editions include Mertz's Opern-Revue, Mertz's trio for violin/flute, viola, and guitar "Divertissement, Op. 32" (DGA Editions), an anthology of operatic concert works titled Selected Operatic Fantasies of Mertz (Mel Bay), as well as new editions of Mertz's selected works published by Chanterelle Verlag, Heidelberg. His recordings include a track on the harp guitar compilation Christmas Present and a collection of Mertz’s guitar and piano duos. Anne Waller has performed as both a soloist and as a member of Waller and Maxwell Guitar Duo in concerts and festivals throughout the United States and Europe. She has also been heard on live broadcasts on radio and television, as well as in master classes with Andrés Segovia, Oscar Ghiglia, and José Tomás. Other activities include conducting master classes at universities and festivals throughout the United States. Waller has studied with Robert Guthrie and Oscar Ghiglia. Kurt currently resides in the Milwaukee area with his wife and two daughters and continues to write and record music in his home studio. Visit Kurt’s music page at www.soundcloud.com/gratton. Rob Poland is the founder of Candyrat Records, an independent record label and music boutique. Candyrat was founded in 2004 after signing their first artist, Don Ross, a well-respected Canadian guitar player and composer. Five other artists—including Andy Mckee and Antoine Dufour—were signed before Candyrat officially opened for business in November of 2005. John Stropes is a leading authority on fingerstyle guitar. Through the historical research, analysis, transcription, teaching, and performance of fingerstyle guitar, he has brought focus to this style as a significant American music. His publishing company, Stropes Editions, Ltd., has set a new standard for written music for the guitar and guitar education. Stropes was president of the Milwaukee Classical Guitar Society, 1985-1996, and artistic director of the American Finger-Style Guitar Festivals, 1985, 1987, and 1989, which were funded in part by grants from the National Endowment for the Arts. He performed and taught at the First Chinese Guitar Artistic Festival in the People's Republic of China in 1986 and returned to China in 1988 and 1990 to perform and teach with a performance at Beijing's Symphony Hall broadcast on Chinese television. He was advisor to the Beijing Guitar Research Association; chair of the Guitar Department, Wisconsin Conservatory of Music, 1984-1994; and author of Michael Hedges: Rhythm, Sonority, Silence, Leo Kottke: Eight Songs, 20th Century Masters of Finger-Style Guitar and John Fahey's Christmas Songs for Guitar. Stropes is the author of numerous transcriptions of contemporary works for fingerstyle guitar and related instructional materials and a frequent contributor to guitar publications. Macyn Taylor is an accomplished guitar player and singer. She is 22 years old and has recently graduated from the University of Wisconsin-Milwaukee with a Masters in Music Performance degree. Macyn’s guitar playing has been heard around the world through YouTube, with her YouTube site having nearly two million views. She has competed in many guitar competitions and has won many, including in 2013, the Wilson Center International Guitar Competition. Macyn was recently given an award for “Most Promising New Talent” by Acoustic Guitar Magazine. She was also named the 2013 WAMI Folk/Celtic performer of the year. Neil Davis is an emerging talent. He started playing jazz in Milwaukee in 2002. Also in that same year, he began teaching private lessons to aspiring guitarists at all levels. As time went on, he reached a peak of 72 students per week. The grueling schedule led him to yearn for an environment where he could focus his methods on students who were interested in jazz. Davis is an instructor in the Jazz Studies Program at the Milwaukee Youth Symphony Orchestra. He is sought after as a sideman and also leads his own quartet. He is also half of the Davis\Peplin Duo. As well as playing jazz, Davis uses his talent in the world of Modern Dance. He is has been an accompanist for the UWM Dance Department since 2005. As a professional musician for the past 30 years and a broadcast editor for 12 years, Tanner-Monagle principal Bob Monagle brings a unique perspective to video editing. He combines unparalleled technical capabilities with a sensitivity to how the music, audio, and photography come together to create arresting and effective visual communications. His background in music and music composition, as well as video and audio production, make him uniquely qualified to integrate the audio and visual elements necessary for achieving great work. He also directs and produces, and can assemble top-notch television and video production crews to see any project through from concept to completion. Paul Silbergliet is on faculty at the Wisconsin Conservatory of Music and is a member of the Conservatory’s We Six jazz sextet. An accomplished jazz composer as well as performer, Paul has played clubs, concert halls, and festivals throughout the area as both a leader and a sideman. He has appeared with Jack McDuff, Jon Faddis, Richie Cole, Tierney Sutton, Melvin Rhyne, Brian Lynch, David Hazeltine, and the Milwaukee Symphony Orchestra, among others. Both his 1996 debut CD Silberglicity and his 2003 release My New Attitude have made it onto the jazz charts with nationwide airplay. He can also be heard on the 2005 We Six recording Bird Say. Paul teaches at Cardinal Stritch University and is a featured instructor in Hal Leonard's Guitar Licks Goldmine DVD series. He received his BA from Oberlin College. Peter Mac is the guitarist for Uprising, as well as Peter Mac & The Fighting Fish, The Brian Dale Group, and Streetlife. Beginning his musical education at age three, the breadth of Peter's styling comes from years of formal training and a long list of great and diverse influences—artists ranging from The Beatles, Sting, Pat Metheny, and George Benson. His diversity has allowed Peter to open for a wide variety of acts, such as Kenny Loggins, Dave Koz, Tower of Power, the late Danny Gatton, Grover Washington, the late Jeff Healey, Eddie Money, Kansas, Doc Severinsen, Tim Wiesburg, Jeff Lorber, The O'Jays, Al Jarreau, and most recently, King's X, Adrian Belew, Robin Trower, Peter Frampton, Blue Oyster Cult, Hall & Oates, INXS, and David Sanborn. Peter Roller, PhD UW-Madison in Ethnomusicology, is a working guitar player who previously was Professor of Music & Chair of the Music Dept at Alverno College. Peter wrote his Master's Thesis at Indiana University about the Country Blues mandolin performance of 1st generation bluesman Yank Rachell; he accompanied him throughout the 1980s and played on his Grammy-nominated album Blues Mandolin Man (Blind Pig Records). In the Milwaukee area, Peter has played and recorded with Paul Cebar and the Milwaukeeans, Robin Pluer, bluesman Steve Cohen, gospel quartet The Masonic Wonders, and others. His original solo guitar music CD, Blue Fog, streams widely. John Shiely is the retired chairman and chief executive of Briggs & Stratton Corporation. In 1997, he was approached by an employee from the shop floor with the idea of founding a corporate rock band to perform at corporate and charity events. The result was the Briggs Bluesbusters band. John is a guitarist in the band. In 2001, the band competed in the inaugural Fortune Magazine “Corporate Battle of the Bands” at the Rock & Roll Hall of Fame in Cleveland, where the band finished runner-up. Over the years, John and the band have been the opening act at the Summerfest musical festival for: the Beach Boys, James Brown, Ray Charles, Little Richard, Elvis Costello, the Moody Blues, Leann Rimes, Alice Cooper, and Journey, among others. The band has also opened at power equipment events in Louisville, Kentucky for Paul Revere and the Raiders, Three Dog Night and .38 Special. The Briggs Bluesbusters was also the featured band at Al’s Run and Walk for many years. John has performed at several gigs with the original Crickets (Buddy Holly’s band). John serves as a member of the board of directors of the Rock & Roll Hall of Fame. Fueled with a BFA in Classical Guitar Performance from the University of Wisconsin - Milwaukee, Paul has been imparting his musical know-how since 1992 at The Wisconsin Conservatory of Music, Brass Bell Music, Family Music, Milwaukee Public Schools, University School, Hillel Academy, and Be Sound Studio. He has recorded and performed nationally and internationally, touring extensively through North America, Europe, and Asia. Recently serving as Optimist Theater's Music Director, you can hear Paul tearing up the stage with his respective bands: BEATALLICA, THEN LIZZY, MJØD, CHIEF, and the Underwood Baptist Praise Band covering the diverse genres of Metal, Rock, Hot Jazz, Blues, Folk, Worship, and solo Classical guitar. THANK YOU TO OUR 2018 WILSON CENTER GUITAR FESTIVAL SPONSORS!